Adams Business Forms provide the tools to help keep track of messages, finances, transactions, employees, taxes, and customers to businesses throughout the world. These products are the perfect way to create and maintain a professional image for small businesses and service providers. Use Adams Bill of Lading forms to ensure all your shipments arrive with the appropriate paperwork. Each form features three carbonless parts, all white, and measures 8-1/2 x 7-7/16. This value pack contains 250 full sets of forms. Whether it's a multi-part form, notebooks, writing pads, record books, or any of the hundreds of items we offer, you can count on Adams products to help! 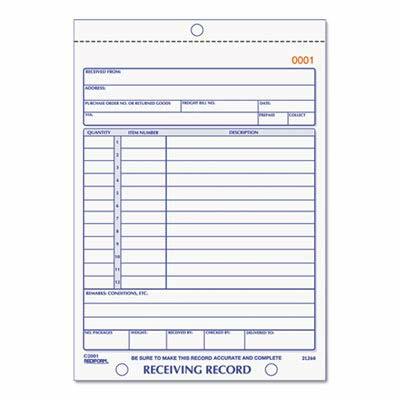 Brand: Adams | Manufacturer: TOPS Business Forms, Inc.
Adams Business Forms provide the tools to help keep track of messages, finances, transactions, employees, taxes, and customers to businesses throughout the world. 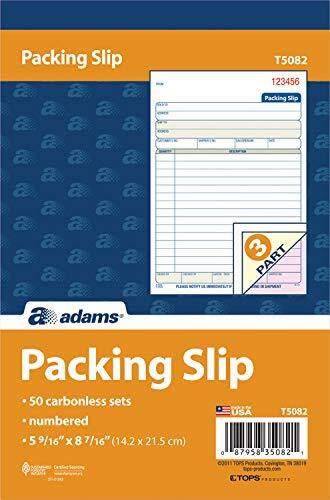 Adams Packing Slips are a great way to ensure all your shipments contain the correct paperwork. The 3-part carbonless format means you have copies for all necessary departments. Each set includes a white original, canary duplicate and pink triplicate. Whether it's a multi-part form, notebooks, writing pads, record books, or any of the hundreds of items we offer, you can count on Adams products to help! 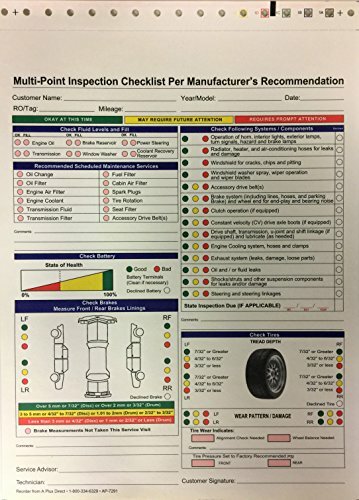 The 7291 Multi Point Inspection Checklist Per Manufacturer's Recommendation is perfect for your automotive repair shop or service center. 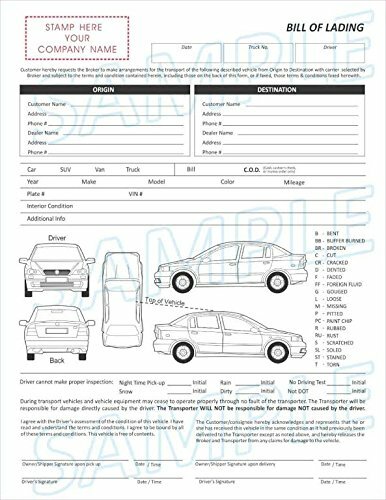 Full 5 color and 2 part checklist form make it easy to inspect the vehicle. Perfect for communicating service with your customers. 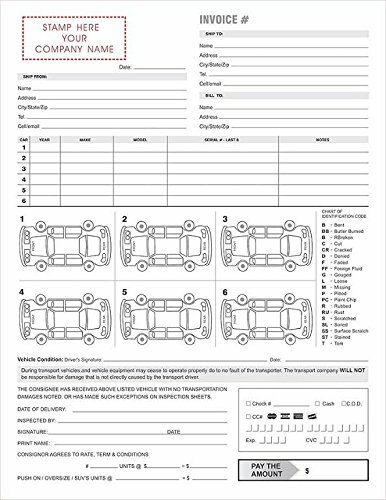 This generic multi-point inspection form is perfect for any type of vehicle, and your automobile service repair shop. Adams Business Forms provide the tools to help keep track of messages, finances, transactions, employees, taxes, and customers to businesses throughout the world. These products are the perfect way to create and maintain a professional image for small businesses and service providers. Use Adams Bill of Lading forms to ensure all your shipments arrive with the appropriate paperwork. Each form features three carbonless parts, all white, and measures 8-1/2 x 7-7/16. This value pack contains 50 full sets of forms. Whether it's a multi-part form, notebooks, writing pads, record books, or any of the hundreds of items we offer, you can count on Adams products to help! Adams Business Forms provide the tools to help keep track of messages, finances, transactions, employees, taxes, and customers to businesses throughout the world. 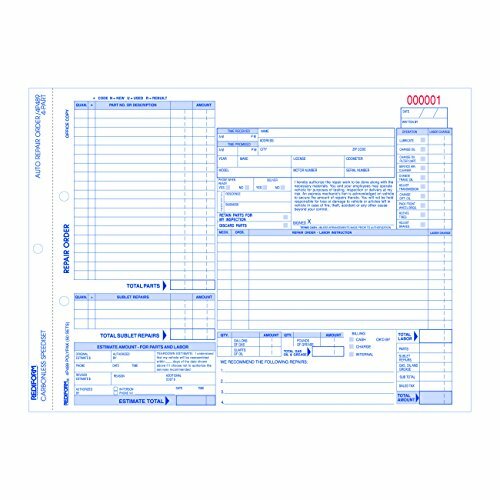 Adams Business Forms were designed to help businesses in the service industry itemize and organize customer information and material or labor costs associated with billing for repair and general work jobs. 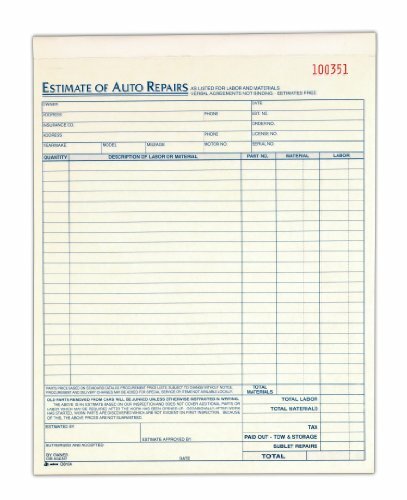 The Adams Repair Estimate Book provided space to record all information needed to estimate and bill for auto repairs in detail. 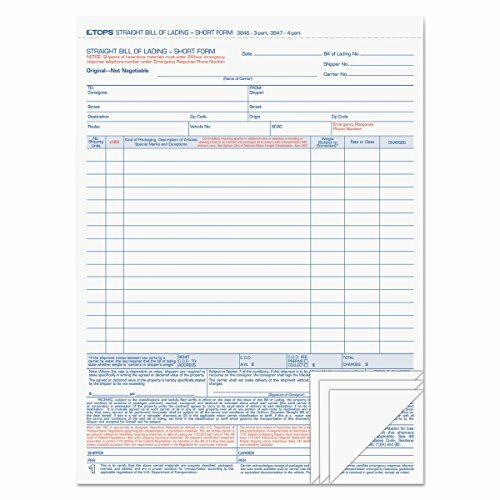 This 2-part carbonless form features a white and canary paper sequence to instantly create extra copies of all work to be performed. This book contains 50 consecutively numbered sets and each form measures 8.38 x 10.69 inches when detached. Whether it's a multi-part form, notebooks, writing pads, record books, or any of the hundreds of items we offer, you can count on Adams products to help! Since 1952, TOPS has provided quality products and services to businesses throughout the world. TOPS continues that commitment providing innovative, high quality value-added paper products for the office, school and home. 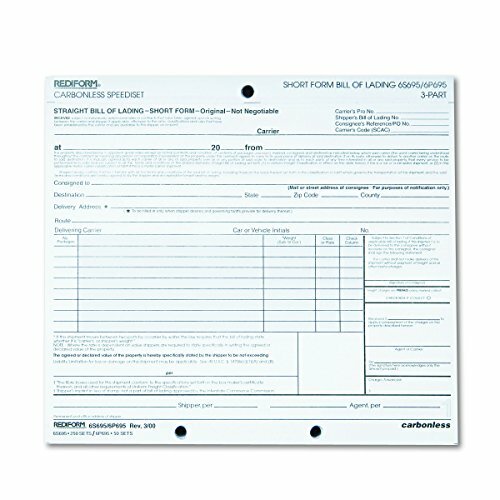 The TOPS Bill of Lading Expanded Form is adaptable to all types of shipments to any location in the country. 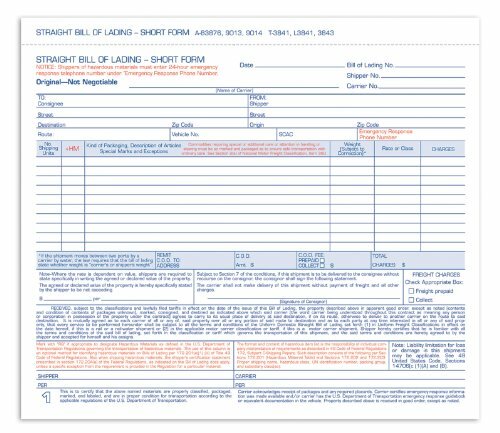 For 16 or fewer items, each sheet of the 3-part form is printed on white paper. Whether it's a multi-part form, notebooks, writing pads, record books, or any of the hundreds of items we offer, you can count on TOPS products to help! 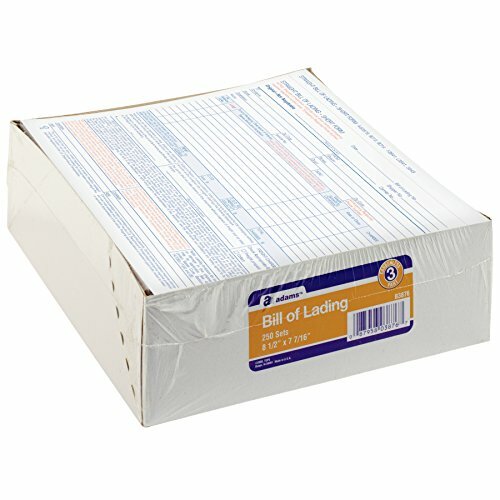 Individual bill of lading forms. 250 forms in a pack. Carbonless triplicates, white/yellow/pink. Perforated at the top for easy separation of forms. Adams Business Forms provide the tools needed to help businesses keep track of messages, finances, transactions, employees, taxes, and customers. You can use the Adams Receiving Record to track all of your deliveries received. The 3-part carbonless format with a white/canary/ pink paper sequence provides copies for your permanent records, while a wraparound cover attached to back can be placed between sets to prevent "write-through". Each set is consecutively numbered, and there are 50 sets per book. Space at the top for company stamp allows you to customize your receiving records for a professsional look. Whether it's notebooks, writing pads, record books, time cards, business forms, or any of the hundreds of items we offer, you can count on Adams products to help. Auto repair polypack. 50 individual numbered forms. 4-part, white/yellow/pink/gold. Carbonless. Perfect for when eight or fewer entries are needed. Provides accurate contractural wording for complete documentation. Speediest bill of lading, short form. Adams provides the tools to help businesses keep track of messages, finances, transactions, employees, taxes, and customers. Adams Business Forms were designed to help businesses in the service industry itemize and organize customer information and material or labor costs. 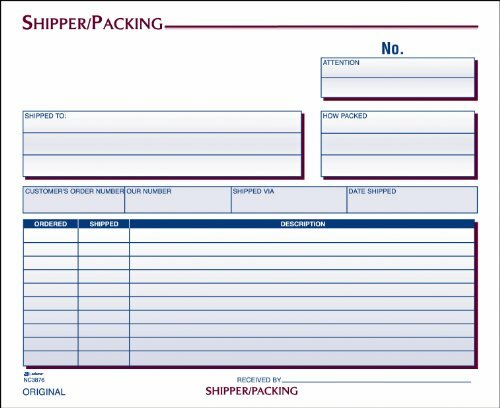 The Adams Shipper and Packing Slip Unit Set is complete with all necessary documentation for shipments. 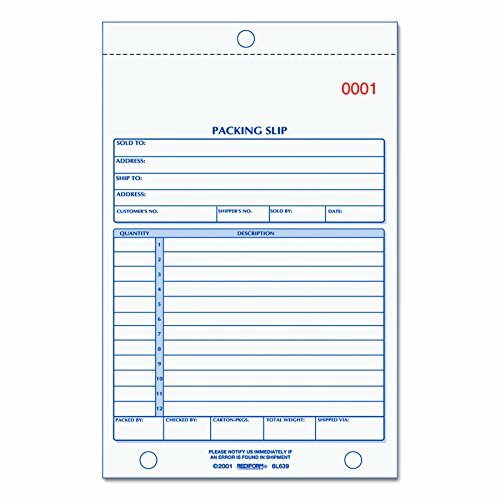 These 3-part carbonless forms feature a white, canary, pink paper sequence to instantly create extra copies of all items shipped, and each package contains 100 unit sets. Each form measures 8 x 7 inches, detached size. Whether it's a multi-part form, notebooks, writing pads, record books, or any of the hundreds of items we offer, you can count on Adams products to help! Adams Business Forms provide the tools needed to help businesses keep track of messages, finances, transactions, employees, taxes, and customers. Use Adams Bills of Lading to ensure all your shipments arrive with the appropriate paperwork. These 4-part carbonless forms ensure copies are available for every need. All four parts are white providing a crisp background and sharp contrast for easy viewing. 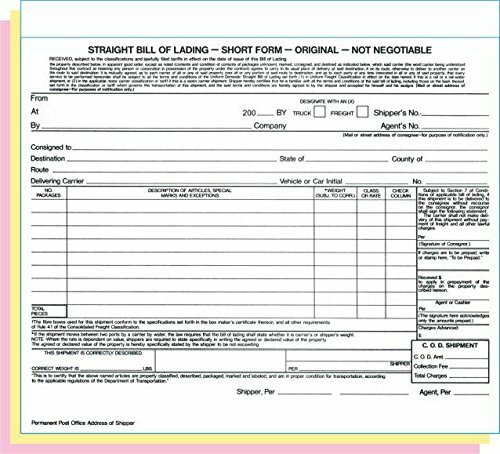 Adams Bills of Lading measure 8.5 x 7.5 inches. Whether it's notebooks, writing pads, record books, time cards, business forms, or any of the hundreds of items we offer, you can count on Adams products to help. Carbonless invoice forms offer a space at the top for a company stamp. Forms come in a manifold book with a flexible cover. Each is printed in blue ink with an invoice number printed in red in the top right corner. Preprinted boxes designate "sold to" with address and "ship to" with a possible other address, "customer order," "sold by," and date. A chart on the bottom half of the invoice form includes space to list their quantity description and two columns for price and cost amount. Invoice forms are consecutively numbered in red. Since 1952, TOPS has provided quality products and services to businesses throughout the world. TOPS continues that commitment providing innovative, high quality value-added paper products for the office, school and home. 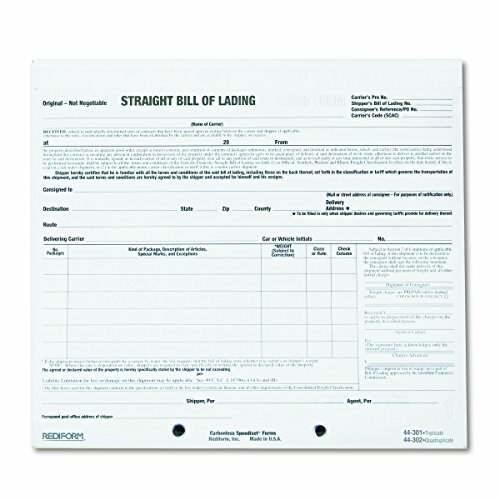 The TOPS Bill of Lading Expanded Form is adaptable to all types of shipments to any location in the country. 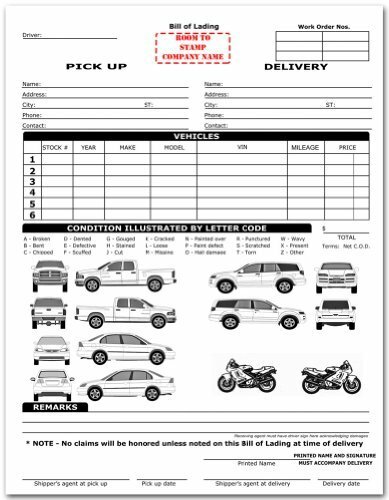 For 16 or fewer items, each sheet of the 4-part form is printed on white paper. Whether it's a multi-part form, notebooks, writing pads, record books, or any of the hundreds of items we offer, you can count on TOPS products to help!